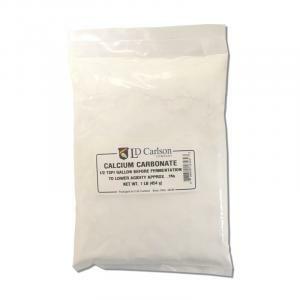 Calcium Carbonate - 1 lb. 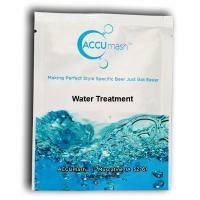 Calcium Carbonate can be used to raise the pH of mash water when brewing beer, a great addition for making dark beers with soft water. 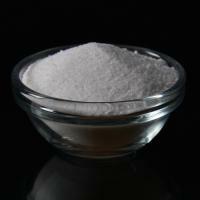 Calcium Carbonate can also be used to lower the acidity in wine. Use 1/2 teaspoon per gallon to lower acidity 0.1%. Use before fermentation. 1 pound bag. 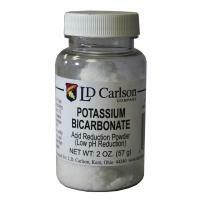 Potassium Bicarbonate - 2 oz. Calcium Carbonate - 2 oz. 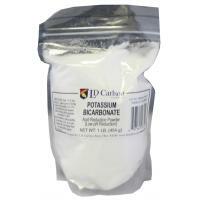 Potassium Bicarbonate - 1 lb.